Confessions of the Chromosomally Enhanced: Q&A with Courtney Westlake, Author of "A Different Beautiful"
Q&A with Courtney Westlake, Author of "A Different Beautiful"
Hello Friends! Today's blog post is not about Down syndrome but it is about embracing differences. I've known Courtney Westlake since childhood. We reconnected in adulthood 4 years ago, after she gave birth to her daughter, Brenna. Brenna was born with a rare skin condition called Harlequin Ichthyosis. This condition can be life threatening because it can impede Brenna's ability to regulate her body temperature, maintain hydration, and fight infection. But just like Josie, Brenna is a fighter. She has overcome many medical challenges and today she a charming and vibrant almost 5 year-old girl! 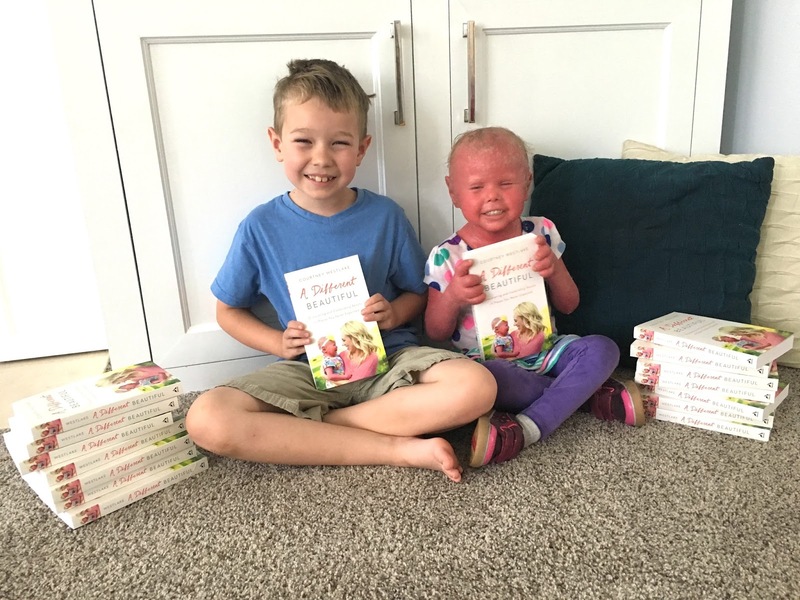 In her new book, "A Different Beautiful," Courtney documents her journey in parenting a child with Harlequin Ichthyosis. Many mothers in the special needs community will identify with Courtney's story but the book has universal appeal because as rare as Brenna's condition is, Courtney's writing is engaging and relatable. 1. What's the most ridiculous argument you've ever found yourself in with Brenna? Memorable temper tantrums? So I got her all dressed in whatever non-holiday outfit that was striking her fancy that morning… and the second I pulled the Velcro on her shoes, she launched into a wailing that she WANTED TO WEAR HER HALLOWEEN OUTFIT. 2. 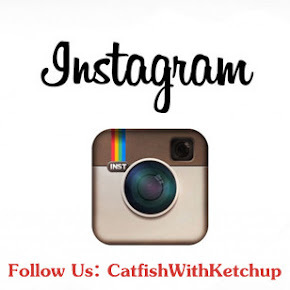 If your life became a reality show, what scene would you want edited out? All the yelling. And the wine bottles. Did I say bottles? I meant glasses. Er, glass. The wine glass. 3. Where is your favorite spot to hide from your kids when you need a break? I take a hot bath nearly every day. And they have come to know that if I’m in the bath, I can’t tend to their every whim. It’s glorious. 4. What's the most absurd fight you've ever broken up between your kids and what is your go-to method for sibling peace? My kids don’t often fight over physical objects – toys and such – but one day, I came downstairs to find Connor was chasing Brenna while she was dearly clutching the grocery store coupon booklet. They were both wailing about wanting to hold it, and that’s when I knew we had reached a new level of summer crazy. Also, an ongoing fight that I have to “break up” is that Brenna loves to say “I love you, Connor.” But when Connor says “I love you, too,” she responds once again “I love you, too” back to him. And this repetitious proclamation of her love drives him CRAZY. So yes, I actually have to make my kids stop saying “I love you” too much to each other! 5. How are your kids like you? Does this scare you? It’s so funny to see your own tendencies and characteristics manifest in your kids…and you wonder if it’s nature or nurture, or maybe just both. But Brenna has a stubborn streak like no other, and her father points fingers at me. And OK, fine! He’s probably right! Connor is introverted and likes to play by himself a lot, loves to read and learn, and that’s how I am too. We mesh much more easily because of that, as we both give each other our space. Brenna, on the other hand, is extroverted and she gets filled up by being around me, while I get depleted by her, so that makes for some interesting days! 6. In your book you talk about how you began to become a different person on the day Brenna was born. You say that that was the day that God gave you a choice about whether to embrace the "perfect and unique differences" that He placed in your life or whether to run toward "resentment and bitterness." You write, "And it was not simply a matter of accepting my daughter as she was born and as God created her. No, He moved much deeper than a mother's unconditional love for her child. I felt Him challenge me, day after day, to tear down the preconceptions and the misconceptions of life as I knew it." What experiences and resources helped guide you along this journey to "admire the beautiful that can be found in these differences," and how can other mothers make a purposeful effort to do the same? As moms, we want to know how this illness, condition or disability will affect our kids, ourselves and our family’s lives - Will it get better or will it get worse? What will our days look like now? What will our years look like? What will my child’s life look like? And for many of us, that can lead to a lot of thoughts about what might NOT happen. If you’re like me, when you got a diagnosis or prognosis, you maybe started to think about the limitations this would place on your child or on your family… the Won’t be Able Tos and the Might Nevers. But what I have discovered over the past 4.5 years is that life has become only as limiting as we let it. It is up to your child alone what will limit him or her, and there will be far many more Cans than Can’ts. Two things that can never be limited are the hope and the love in our family, and with that, we’ve found that our children will truly amaze us with what they can do. The other thing I hope all moms do – special needs or not – is to choose to connect with each other, and to reach out, giving and accepting help. Sometimes, seasons of motherhood can feel isolating until you start to hear about others’ stories and experiences, and you realize that we ALL go through struggles and hardships, in addition to triumphs and celebrations. Those struggles may look very different from each other, but our feelings aren’t so different – we all want connection, support, to feel loved, and we can all learn from each other. Courtney's refreshing honesty about family life makes it easy to feel a connection with her. The unique component of her parenting journey offers so much to learn from as we all strive to raise our children to embrace one another with kindness and to seek the beauty in our differences. 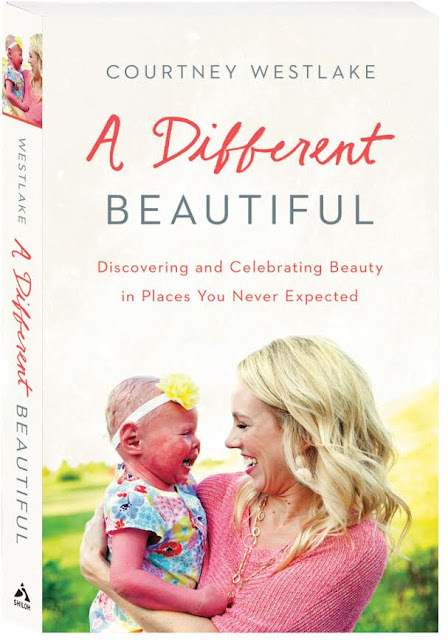 To purchase your own copy of "A Different Beautiful" by Courtney Westlake, click HERE. Courtney's heartfelt message about continuing to discover beauty in the unexpected is documented on her blog, "Blessed By Brenna."